You’ve put the old homestead on the market and you’re ready to cash in and move on. Your real estate agent has suggested that an open house is a good marketing strategy for your home. What do you do now? Where do you start? Here are some strategies to help you make the most of your open house. You want everyone who walks through the front door to go mad for your house. The more people who like it, the more potential buyers, right? They could even get into a bidding war, and you might get an offer above asking price! The first step in getting them through the door is getting them out of their cars. It’s no good having a stellar interior if the yard scares people away, so your first focus should be on curb appeal. Start by repairing, replacing, and repainting. Anything broken, worn, or tired is a turn-off for buyers. Get the driveway pressure washed, put new bulbs in the exterior lighting, and make sure the lawn is healthy and well-groomed. Consider Landscaping to brighten up the home and create more curb appeal. A few pots of brightly-colored annuals in strategic locations can give a warm welcome to prospective buyers. Trim back any overgrown plantings and make sure trees do not overhang and impinge on the view of the house from the road. They can't fall madly in love with your house if they can't even see it. Once you’ve beautified the exterior, you’ll need to spruce up the inside of your home. This is not the time to indulge your inner interior decorator. Remove anything personal and place it into storage. Neutral tones and traditional furnishings will appeal to a broader spectrum of people than your own personal taste, no matter how fabulous that taste might be. You may want to consider hiring a professional stager to arrange your belongings more aesthetically, or to swap out your furniture for something more suitable. A well-trained professional eye can help enhance the home’s layout and disguise its shortcomings. They can make small spaces seem cozy, and large ones more intimate. Stagers can evaluate the entire house inside and out and make recommendations for what needs repair or updating. They usually have a network of people who can come in and get jobs done on the fly. A good stager can boost your selling price by thousands of dollars. Once your home is in tip-top shape and ready for visitors, you’ll need to spread the word. Your real estate agent can list your home’s open house on multiple listing services, and should bring in someone to get good quality photographs with proper lighting. The next step is to set up a strong social media presence. Today’s buyers are accustomed to viewing hundreds of homes online in their search for their next property, so you’ll need to make sure yours stands out. Consider utilizing a 360-degree “walk-through” tour of your property online, and give plenty of detail about the home’s services and structures. Buyers also appreciate being familiar with a home’s background and community, so suss out school districts, availability of public transit, and local amenities, and make all of that information easily accessible on your home’s website. Then, market your home to everyone you know. Sure, the neighbors probably don’t want to buy your house, but they may know someone who does. The more people who see your house, the more chances you’ll have to find an eager and enthusiastic buyer. First impressions are crucial, so make sure your home is inviting and attractive to everyone who sees it. 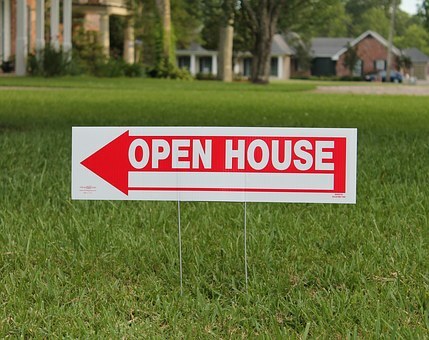 A successful open house can create buzz and increase demand. It can even raise your selling price. Work with your real estate agent to create a fantastic open house experience for your buyers, and your house will practically sell itself.